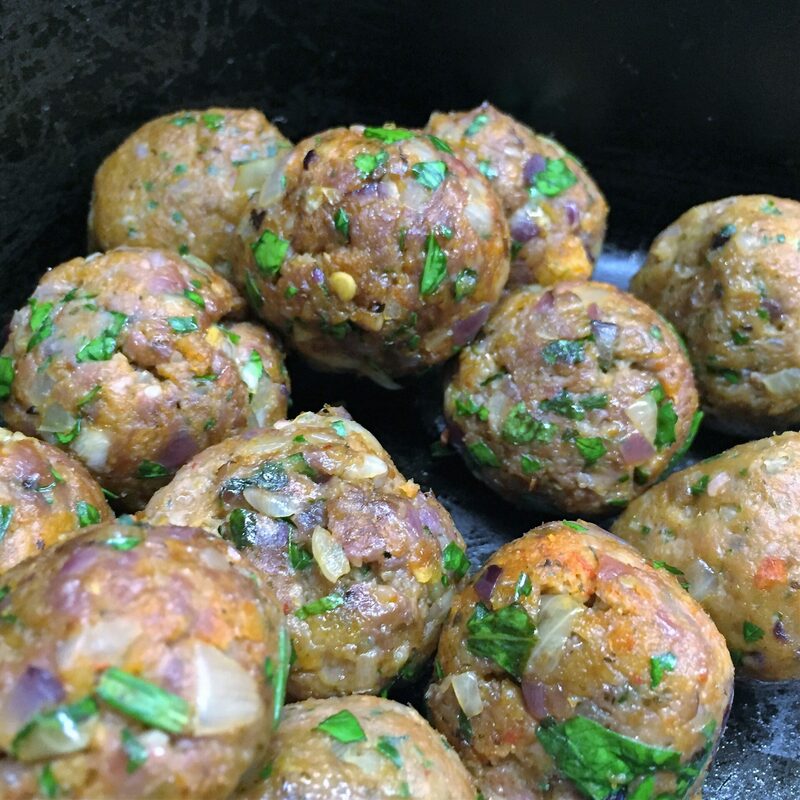 Ultra easy and tasty meatballs - good on a stick, in a wrap, as part of a mezze etc. We associate merguez with lamb but apparently, in Algeria, beef is often used. It certainly works just as well. 1Heat a little olive oil and sauté the onion for 5 minutes. 2Blitz the bread crumbs in a food processor and add the harissa and onion. 4Keep pulsing until everything comes together. Don’t overwork or the meat will turn rubbery. 5Form into meatballs, brown in the frying pan and finish off in a baking tray in the oven.